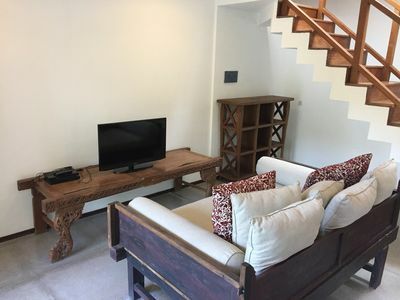 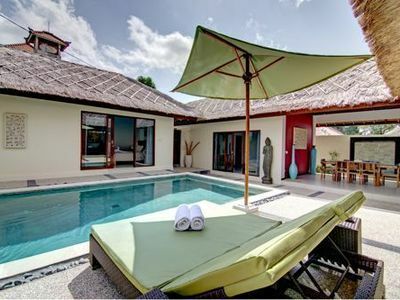 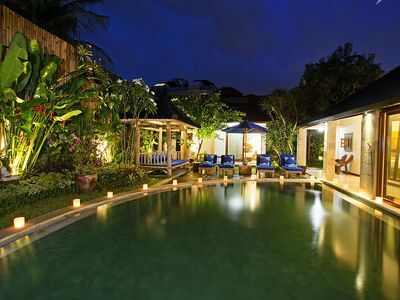 This villa is an airy open villa located in the beautiful up and coming area of Canggu, Bali. 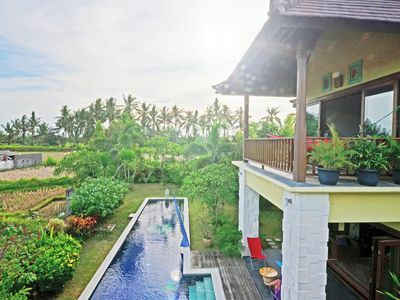 Surrounded by rice fields and a river, the villa has a very natural feel with a beautifully decorated interior that complements the lifestyle that Canggu now offers. 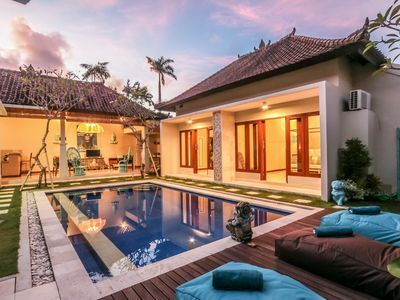 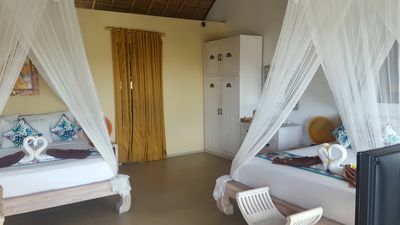 The villa is set in a sprawling tropical garden, the living and bedrooms make Villa Valensa the perfect option for families or friends wanting to get together in sophisticated yet comfortable surroundings. 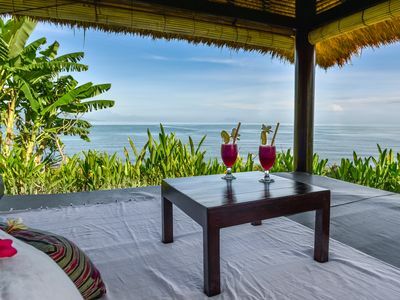 Less a 5-minute drive to the beach and to Finns Beach Club. 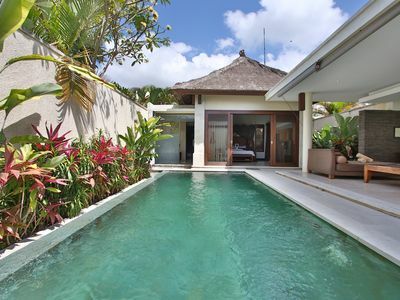 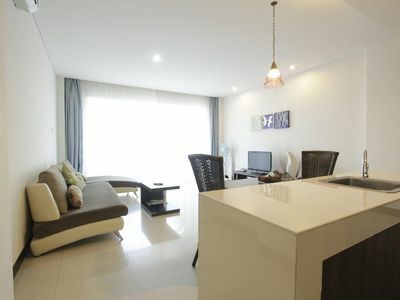 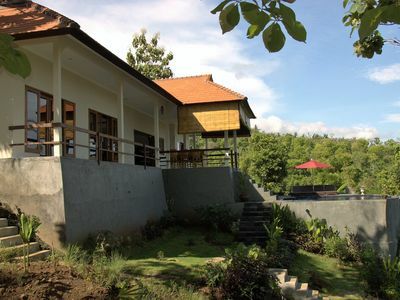 The villa is ideally located to take advantage of the most natural developed and hipster area that Bali has to offer. 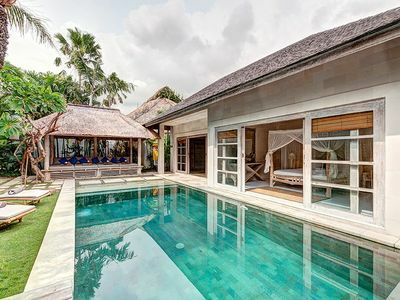 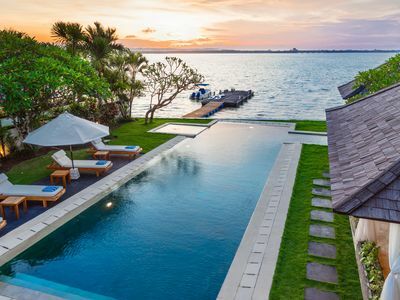 From the famous surf breaks dotted along the stunning Canggu coastline to world-class restaurants and bars that populate the area, Canggu is the spot to be in Bali at the moment. 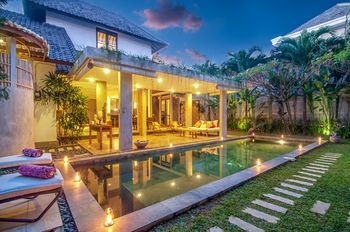 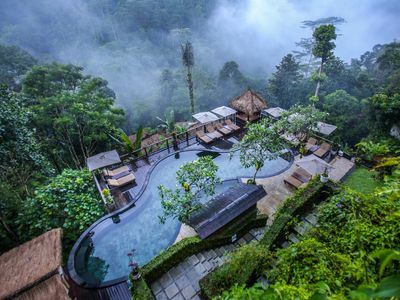 There is still an air of natural Bali in this area as it hasn't been bogged down by gentrification like in Seminyak however, maintaining to be a cool spot with many places to dine, shop, and party. 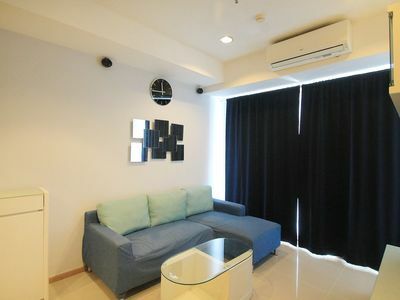 Guests are able to access every part of the space. 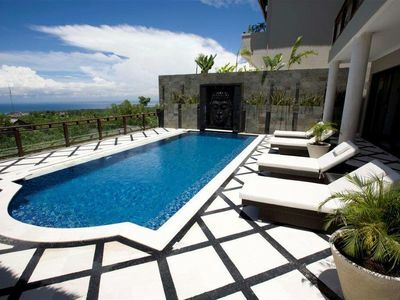 There is a villa manager to welcome and check you out of the villa. 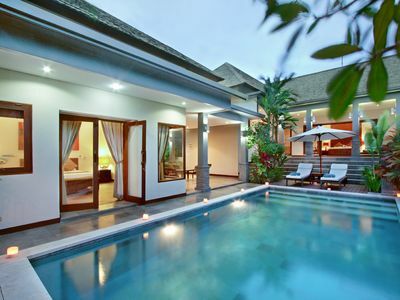 - Airport pick-up and drop-off, by a transport service agency, can be arranged in advance by the villa. 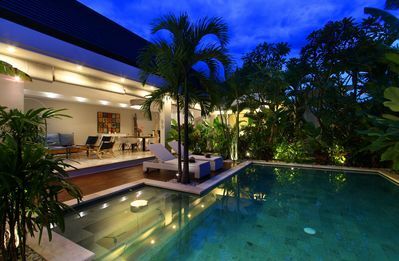 In order for this, you would have to contact us prior to your arrival and submit your flight details for the ease of pickup. 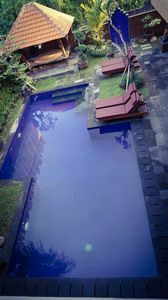 driver. 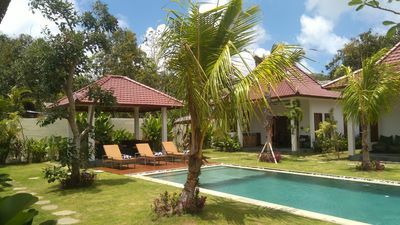 - Car and motorbike (with or without a driver) rentals can be arranged by the villa if requested.